INTRAVELREPORT: Sustainable tourism – The latest buzz! 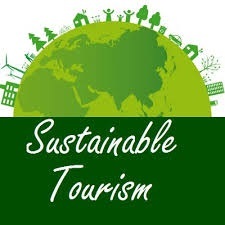 Sustainable tourism – The latest buzz! In recent times, the definition of “sustainable travel” has been become considerably wider as observed by the New York Times. Once associated with eco-friendly travel, exploring the remote corners and fragile places and attempting in every possible way to reduce one’s footprint as a visitor, currently, sustainable travel is possibly to consider the social impact of being in a place as it is the physical impact. Profit tour operators as well as nonprofit organizations are discovering new and creative ways to engage with visitors as well as the social and economic realities of renowned and unexplored travel destinations. Social impact travel targets to make sure the money invested on a tour or a trip remains within the community. A main source of income in terms of developing nations, travel has become first or second source related to export earnings in 20 of the 48 least developed nations, as per the World Tourism Organization. Though, the 2013 report from the organization observed that just $5 of every $100 spent in a developing country remained in that particular destination. Αναρτήθηκε από geop στις 9:27 π.μ.